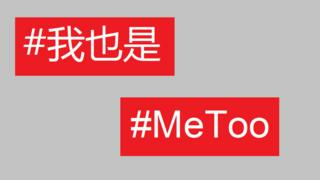 Will #MeToo spread in China? On New Year's Day, China finally had its own #MeToo moment. Luo Xixi, an academic with a PhD from the prestigious Beihang University in Beijing, said she was sexually harassed by one of her professors when she was studying there 12 years ago. She recounted her experience on Weibo, the Chinese equivalent of Twitter, and said she was still haunted by the experience. Her post gained more than three million views within a day, triggering a heated debate online about sexual harassment. Shortly afterwards, Beihang University announced that the professor in question had been suspended from his duties, and that an investigation was under way. The professor has denied the allegations. Ms Luo, who now lives in the US, told the BBC that the #MeToo movement had given her "a lot of courage". Millions of women and men around the world have taken part in the #MeToo movement, sharing their experiences of sexual harassment in an attempt to show the magnitude of the problem. But the digital campaign has not been as prominent on Chinese social media until now - and even then, there haven't been as many other people stepping forward to share their experiences. Many Chinese feminist groups are encouraging women to follow in Ms Luo's footsteps, but think that even if the #MeToo movement takes off it will look quite different in China. Feng Yuan, co-founder of Equality, an NGO combating gender violence in Beijing, notes that Ms Luo planned her actions carefully and shrewdly before going public. She contacted other women who had also been sexually harassed by the same professor and gathered a lot of evidence - including recordings - before taking the case to the university. She waited until after the university decided that the professor would be suspended before publishing her account on social media. It is not easy for other women to follow Ms Luo's example, Ms Feng says, as "China does not have national laws on sexual harassment. Schools and offices also lack proper mechanisms to deal with it". "Others revelations, not as well-planned as Luo's, may just go unnoticed and ignored," she said, adding "that is why those who voice out are truly exceptional." Sexual harassment victims in many countries fear they will not be believed. On Chinese social media, sexual harassment is often dubbed the "hidden rule". The term reveals the widely accepted notion that women are not being harassed by sexual aggressors, but willingly comply to gain future favours. Feminist Li Sipan says the "hidden rule" has a victim-blaming undertone, overlooking the manipulation of victims by the powerful. It contributes to the fears many victims have that their voices will be dismissed if they speak out. In the West, the #MeToo movement started in the entertainment industry - then spread to other sectors like sports and politics. But in China, it started with universities. Before Ms Luo spoke out, some female graduates from other universities also disclosed their experience of being sexually harassed or assaulted by professors on social media - but unlike her, they stayed anonymous. Chinese feminist Xiao Meili is not surprised that the #MeToo movement began brewing on university campuses. "Many young netizens are university students or have received higher education," she says. "Everyone has heard rumours of, or even experienced, sexual harassment at universities." In one survey, by the Guangzhou Gender and Sexuality Education Centre, almost 70% of university students said they had been sexually harassed. But more than half of those students chose not to report this to the authorities - a majority said this was because reporting it would not do them any good. "In China, the power asymmetry between professors and students is dire," Ms Xiao says. It is widely recognised that professors exert great power over students on Chinese campuses. They can stop them from publishing papers, research projects and graduating - meaning that angering professors could jeopardise one's academic career. Many female students are exposed to verbal and physical harassment - or required to dine and drink with male professors, Li Sipan says. Leta Hong Fincher, author of "Leftover Women: The Resurgence of Gender Inequality in China", thinks the greatest obstacle to the #MeToo movement spreading in China is internet censorship. China has been ranked the world's "worst abuser of internet freedom" for three years by US human rights organisation, Freedom House. "If the outrage reaches a certain point where it's seen as somewhat destabilising, the government would not hesitate to shut it down completely," she says. In the past few years, there has been a large-scale crackdown on civil society in China, including lawyers, dissidents and non-governmental organisation. Feminists have also been targeted. In May 2015, the "feminist five" - five women campaigning against sexual harassment - were detained by Chinese authorities, shocking the international community. "The feminist activists are very well-organised politically. There are feminist activists in different cities. They co-ordinate with each other and they have broad appeal. All those factors added up means that the Chinese authorities view them as a political threat," says Ms Hong Fincher. "Look at what's been happening in America. With the #MeToo campaign, it's bringing down powerful men virtually every day of the last few months… you can only imagine it's absolutely terrifying for Chinese Communist Party leaders."